Mentions of Binkley's Pond in historical accounts mention it as a popular fishing spot, and a place to skate and play hockey, even as home rink for a local team. 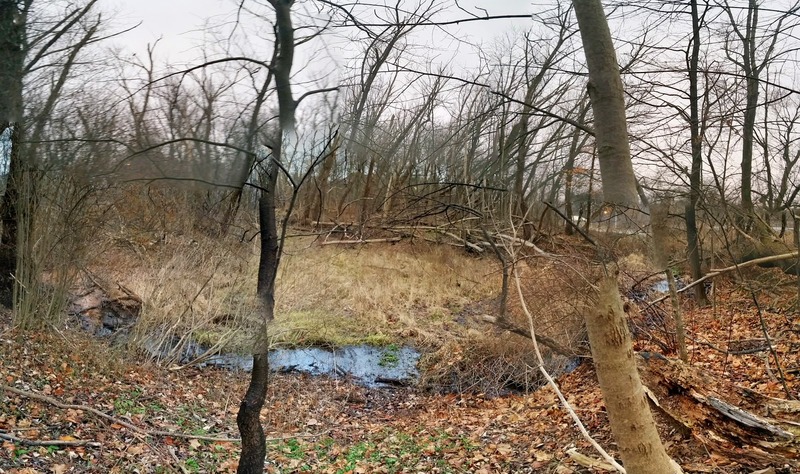 Yet when the property came under the control of the Royal Botanical Gardens in the 1940s, by the time trail maps were drawn up for what became Coldspring Valley Nature Sanctuary, the pond was no longer mentioned as a feature. What happened? Care to guess? The Ghost of Binkley's Pond? We think so.